Various plans were commissioned from the Bridge Architect, Martin Bulmer, and after receiving Charity Commission approval for the estimated expenditure of £3,200, the Wardens and Assistants finally approved the plans in January 1878. 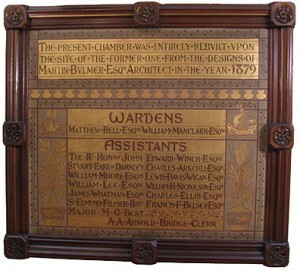 Construction by Messrs. Foord and Sons began in June 1878, and the first meeting of the Court of Wardens and Assistants in the new Bridge Chamber took place on 9 April 1880. 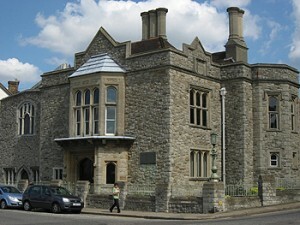 In January 1876 the Corporation of Rochester, who had obtained the lease to The Queen’s Arms Public House adjacent to the old Bridge Chamber, announced its intention to pull down the public house and construct a new road now known as Castle Hill. The removal of the building, however, revealed an intermingled boundary between the Bridge Chamber and the public house. 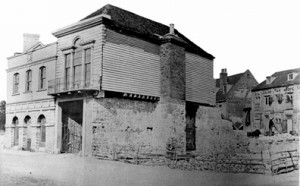 The Wardens and Assistants first resolved to build a new boundary wall to support the overhanging first storey of the Bridge Chamber, but by March 1877 they had purchased from the Earl of Jersey the freehold of the site of the former public house and had decided to tear down the old Bridge Chamber and build a new, larger building on the combined site.